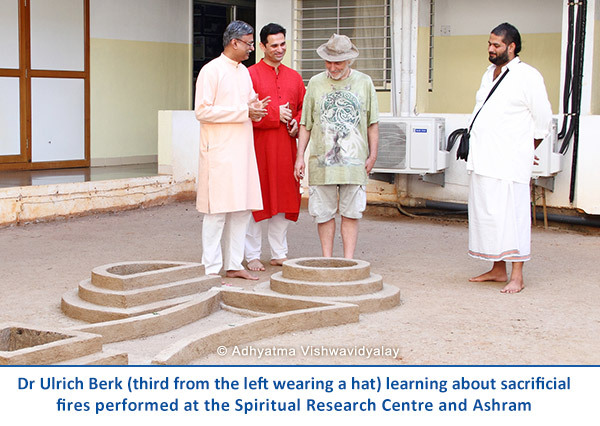 Dr. Ulrich Berk: On 15 Apr 2014, Dr. Ulrich Berk visited the Spiritual Research Centre and Ashram. 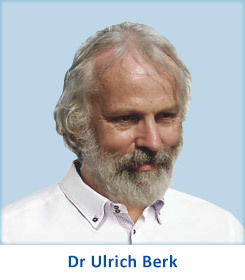 Dr. Berk, from Müblingen, Germany, holds a PhD in Philosophy, is a former University professor, is the President of the German Association for Homa therapy and is an expert in Agnihotra. He has been performing the Agnihotra ritual for the past 35 years and is an ardent advocate of the ritual. He has been conducting research on the Agnihotra ritual and how it positively affects our environment. In fact he is the co-ordinator of all research on Agnihotra worldwide. 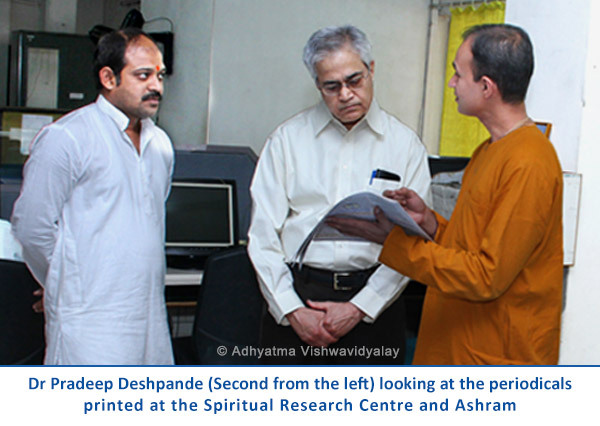 Upon visiting the Spiritual Research Centre and Ashram, Dr. Berk shared, “I was impressed by the professionalism in the work your volunteers do – spreading the Vēdic knowledge in the form of newspapers, some magazines, many books, and also using the media of Internet, audio and video. Then having so much literature translated into many Indian languages and International languages is really a big challenge! Of course I was happy to see that soon the first book in the German language will also be printed. “Your studies on the effects of subtle energies, including the exhibition of objects that show such effects, is very interesting. 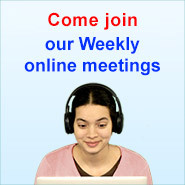 “Modern science still has some way to go in order to understand such phenomena. But if we can show replicable effects of methods like Agnihotra on PIP photos, it will help to increase acceptance and also hopefully get some scientists interested in looking deeper into this area. 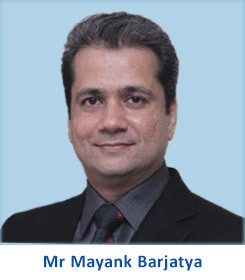 Mr. Mayank Barjatya is a bio-architect with a professional and research background in architecture, human energetics, vastushastra and the environment. Along with this, he also has a deep interest in metaphysical studies. Mayank has 20 years of experience in the field and he often travels internationally for various projects. Mayank was intrigued on hearing about the various unexplained phenomena such as spontaneous blood stains, spontaneous combustion and Divine particles at the Spiritual Research Centre and Ashram. On 13 Jun 2014, Mayank paid the Spiritual Research Centre a two-day visit in order to conduct some preliminary research on the premises along with the spiritual research team using an Esmog Spion instrument (which measures electro-stress) and a Lecher Antenna. He conducted various experiments and further has expressed interest in taking time out from his busy schedule to conduct a few more research projects to understand the effect of the highly energised environment of the Spiritual Research Centre on a person and vice versa. Mayank became interested in the Spiritual realm about 15 years ago. He reminisces, “Around 15 years back when I got the inspiration to shift my focus from physical architecture to a subtle knowledge of Vāstu Shilp Shāstra, I had little knowledge of Spirituality in architecture and its relevance in the physical world.” A series of coincidences motivated Mayank to deepen his study about the Spiritual dimension and architecture. 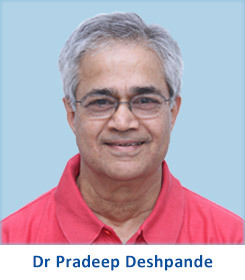 Dr. Pradeep B. Deshpande (President and CEO, Six Sigma & Advanced Controls, Inc. US) : Dr. Pradeep B. Deshpande is the President & CEO and Professor Emeritus of Chemical Engineering at the University of Louisville. He founded Six Sigma & Advanced Controls, Inc. US. He has done extensive research for over 35 years in the field. Dr. Pradeep was drawn to the Spiritual Research Centre and Ashram when samples of Divine particles found at the Spiritual Research Centre and Ashram in Goa were sent to him in the USA and he performed scientific research on them. He later published two research papers on this subject ‘Power of editation: Materialization of Energy/Intentions‘. He visited the Spiritual Research Centre and Ashram on 17th January 2015 and he was very fascinated by the spiritual research being performed at the Centre. He said that the seekers of the Spiritual Research Centre and Ashram have a lot of Sattva or spiritually pure component in them. In his words he called it the ‘S Component’. 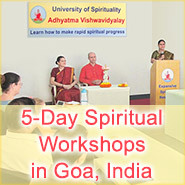 Dr. Pradeep wanted to learn how to imbibe and increase the Sattva component in oneself. When the 8 steps of Gurukrupayoga (Path of Guru’s grace) — namely, chanting, satsang, satsēvā, sacrifice, spiritual emotion (bhāv), love without expectations and personality defect removal and ego removal — were explained to him as the process that increases Sattva component, he immediately made a note of it. He further mentioned that incidents like the attacks of 9/11 go to show that the Global consciousness is decreasing to a great extent. They have measured Global consciousness through a scientific instrument called a ‘Random Number Generator’. Dr. Pradeep mentioned that scientists know that Global consciousness is going down and they can measure it, however, they don’t know how to increase it. For that they are looking with hope towards the Spiritual Divine Knowledge of India. Such Divine Knowledge is present in the Spiritual Research Centre! Dr. Pradeep measured the bio-energy field of five seekers within the Spiritual Research Centre and ashram with Bio-well GDV Device where he saw a positive change in the readings before and after the seekers did chanting in the room previously used by H.H. Dr. Athavale. These experiments proved the importance of chanting God’s Name in a spiritually pure environment.